Have you ever wanted to create how-to guides of digital products, capture footage from your favorite video games, or maybe save your video calls? Obviously, screen recorders could be pretty useful in varied ways, which ranges from saving casual footage from your screen to creating stunning and professional-looking contents. But the only setback with screen recording is that you’ll need different features for the different tasks. That is why Movavi has an entire range of screen recording apps available – each of which specializes in a particular field of coverage. With both a screen recorder and built-in editor, Movavi Screen Capture Studio is versatile to say the least. 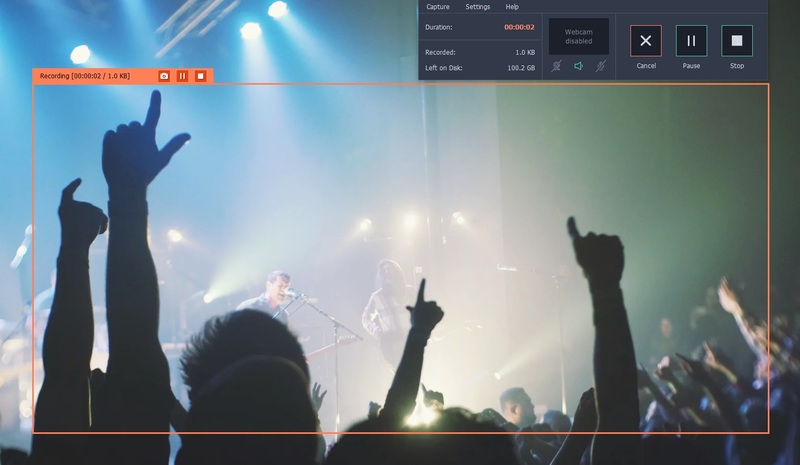 It will let you fully customize the recording parameters when capturing footage from your screen and then let you improve that footage using a wide range of editing tools to compile video footage, enhance its quality, add captions, insert audio tracks, and more. To record footage from video games there is no better option than Gecata by Movavi. Not only will it let you quickly and conveniently record in-game footage, but it will also let you capture and overlay video from your webcam along with audio from your microphone. If you want a business software that will let you record footage from your screen so you can save conference calls or program activities – Movavi Screen Capture Pro should fit the bill. It is a no frills software that will let you adjust the recording parameters to suit your needs, and will also let you capture screenshots as you record. Let's assume you’d like to produce high quality and professional-looking content, Movavi Video Editor Business will ensure you’re well equipped so you can cut and join video segments, improve their quality, apply special effects and filters, include background music, and more. Aside from being a powerful video editor it will also let you use screen capture or record videos from webcams or other external devices. And depending on how you would like to use screen recording, you should be able to easily find the right software from among the selection that Movavi provides. Be eest assured each of the software is designed to be intuitive and easy to use, and will require no prior experience whatsoever. By giving you exactly the tools you need, Movavi’s screen recording apps means you’re properly equipped and can record precisely the type of footage that you need from your screen. As its features are designed to exceed expectations, so it will definitely prove a versatile tool in their own rights.